Previously, Flores was responsible for creating and managing a consistent global messaging platform for precision ag technologies targeting both internal and external audiences. In this role she worked closely with marketing communications, media relations, and employee communications to deploy clear, concise messaging to the technology media and external stakeholders. 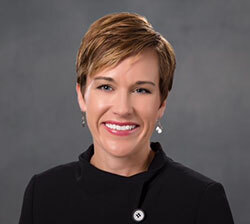 She has held several other positions within Deere, including manager, Public Affairs John Deere Financial and Iowa, where she represented John Deere’s issues in the Iowa Capitol; John Deere Financial on state issues; and co-chaired the John Deere Farm Bill team. 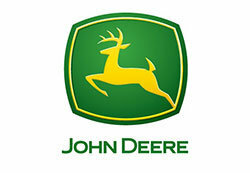 During her 16 years at John Deere, Flores also has held various product marketing and territory manager positions within the John Deere Ag & Turf Division. Flores has Bachelors of Science degrees in Ag Business and Animal Science from Colorado State University. She also completed the Women Unlimited LEAD program and is a graduate of the 2013-2014 Leadership Iowa class. In her new role, effective immediately, Flores maintains her external communications responsibilities for ISG and takes over product public relations and media relations activities, special events and sponsorships for John Deere Ag & Turf for the United States and Canada. She also is responsible for ag-related social media and publications including the Furrow, Homestead and Leader magazines.